When we got into selling wind spinners, we could have never anticipated how many requests we would received for the classic windmill design! 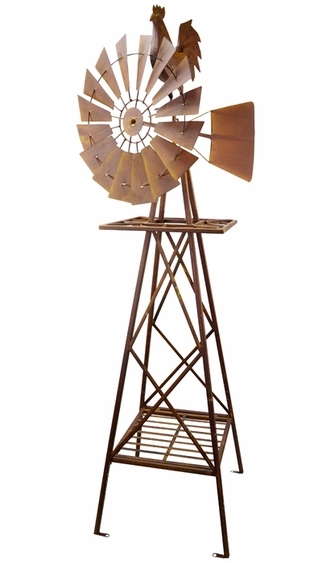 Our Metal Rooster Windmill features multiple ways to catch the wind - the fan in the center spins with the wind as the tail in the back keeps the metal windmill pointing in the direction of the breeze! All metal in design and powder-coated for extended durability for outdoor used. Ground stakes mounts included for added stability. Size: 28.5" x 18.5" x 67"H.